The promotion of physical well being through a patient-centred, hands-on approach is at the core of Anatomy Physical Therapy (APT) where we offer a complete service for the prevention and treatment of painful soft tissue injuries through a multi-dimensional treatment programme. 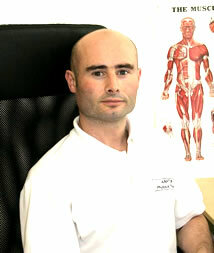 Located in Clontarf, APT utilises a variety of techniques to treat soft tissue injuries depending on the patients’ requirements. These include Physical Therapy, Sports Massage, Bowen Therapy, Frequency Specific Microcurrent (FSM) and Rehabilitation Exercise through Pilates and Personal Training. By working with each patient and assessing their specific condition, a qualified Physical Therapist will first identify the root cause of the condition (for example, be it postural, lifestyle, sporting issues) and thereafter develop an individual treatment programme to restore, maintain and improve patient health and well being. Our service is unique in terms of combining the traditional hands-on approach to Physical Therapy with sophisticated technologies such as FSM, which is scientifically proven to reduce soft tissue inflammation in a fraction of the time taken by conventional methods. APT specialises in the treatment of sports injuries and provides Sports First Aid and Team Physical Therapy (including Tapping and Strapping of injuries) to athletes and sporting clubs. We currently work with prominent Rugby and Gaelic Football Clubs in Dublin. Services offered also include Personal Training and a range of programmes are available in this area including weight loss management, muscle gain, body conditioning and toning and improved sporting performance. 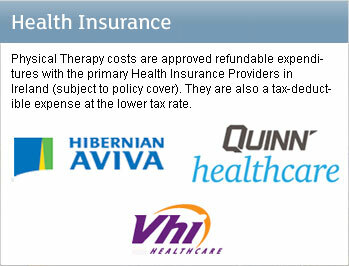 Physical Therapy costs are approved refundable expenditures with the primary Health Insurance Providers in Ireland (subject to policy cover). They are also a tax-deductible expense at the lower tax rate. 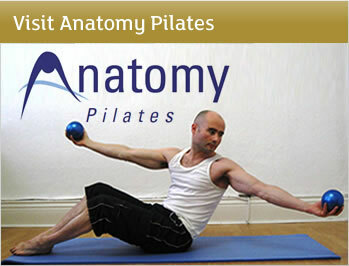 Anatomy Physical Therapy has a sister site Anatomy Pilates. For further details click on the link provided.